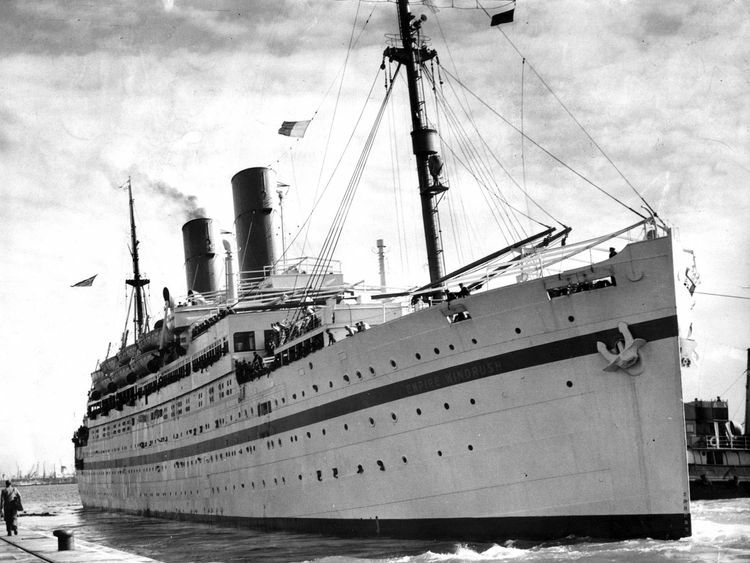 Theresa May has told Caribbean leaders she is "genuinely sorry" for the "anxiety caused" by a row over the immigration status of Britain's Windrush generation. Mrs May has said those affected will not have to rely on formal records to prove their history of residency in the UK, nor will they have to worry about incurring any costs. 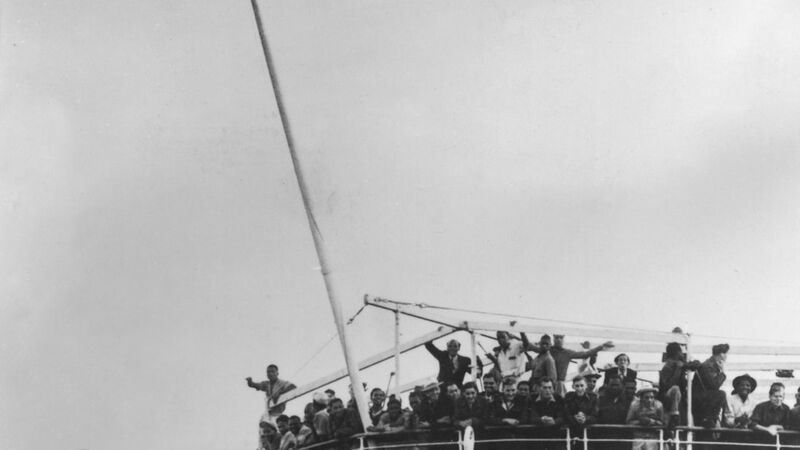 "Those who arrived from the Caribbean before 1973 and have lived here permanently without significant periods of time away in the last 30 years have the right to remain the UK - as do the vast majority of long-term residents who arrived later," she insisted. "This issue has come to light because of measures we introduced recently so that only those with a legal right to live here could access things like the NHS and rented accommodation. "It has resulted in some people through no fault of their own having to provide evidence of their right to live here. We are working hard to help those who do not have the documentation they need." 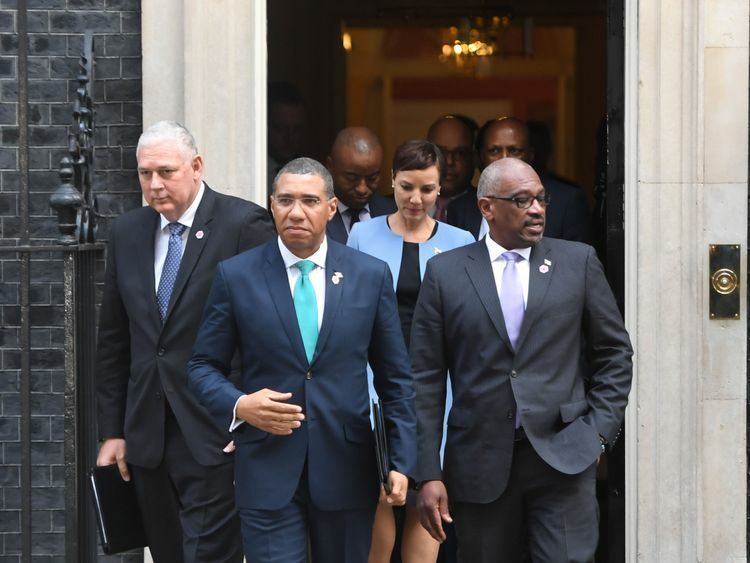 Mrs May's statement was well received by Caribbean leaders, who were in London for the Commonwealth Heads of Government Meeting - which had been billed as an opportunity for a Brexit charm offensive. 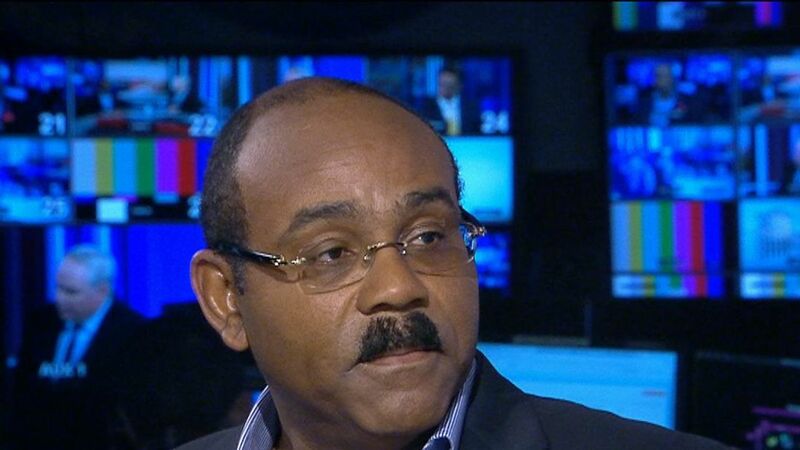 Before the summit, Gaston Browne, the Prime Minister of Antigua and Barbuda, told Sky News' All Out Politics that an apology from the Government over the Windrush issue "would be welcome". "We have had at least one Antiguan who incidentally has a British passport, who was apparently identified for deportation on the basis that he had no original documents," he revealed. "He came here about 59 years ago as an infant with his parents, and would have been on his parents' passport. 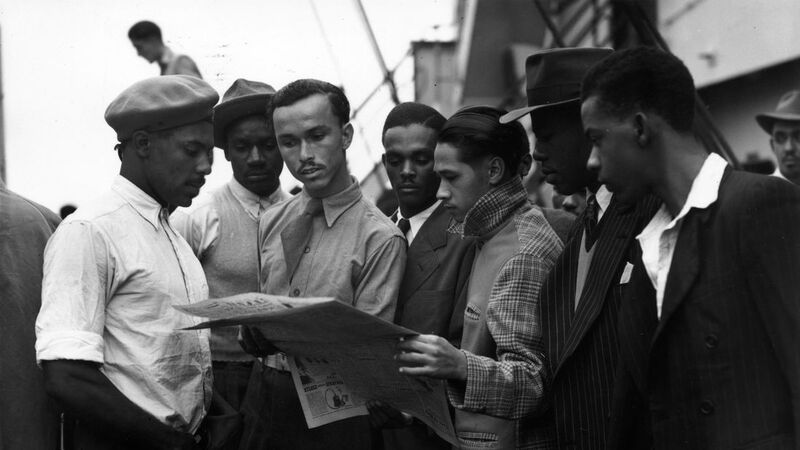 "Many of these individuals do not have any connection with the country of their birth, would have lived in the UK their entire lives and worked very hard towards the advancement of the UK." His Jamaican counterpart, Andrew Holness, then called on Mrs May to ensure a "speedy implementation of your proposed solution".Despite a positive response to her apology and commitment to solving the issue, Mrs May will likely have to address the issue further during PMQs on Wednesday. Ms Rudd and immigration minister Caroline Nokes - who contradicted each other when questioned as to whether any Windrush Britons had been deported - have faced heavy criticism over their role in the affair, which Cabinet Office minister David Lidington told Sky News had been "badly handled".The Home Secretary had appeared to attack her own civil servants on Monday, telling MPs they were "too concerned with policy and strategy and sometimes lose sight of the individual". 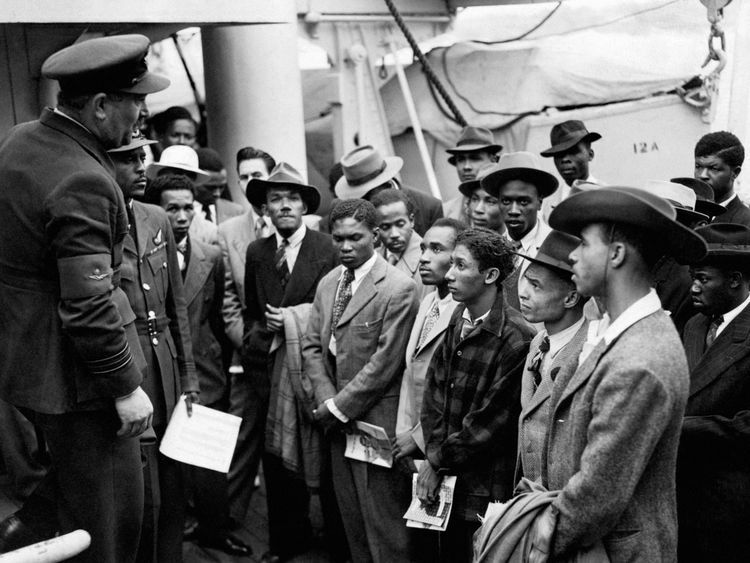 Shadow home secretary Diane Abbott told Ms Rudd the Government "must consider" offering compensation to those affected, although Dr Carver Anderson - who has lived in the UK for 50 years after his parents arrived in 1960 - told Sky News financial support would not suffice. "There's been some political bullying and intimidation - that's what's happened over the years," he said. "You can't compensate for emotional pain. Compensation won't pay for that." :: The Home Office has set up a dedicated web page to help Commonwealth citizens confirm their status in the UK, which can be found here. :: Alternatively, call the Home Office helpline on 03001232241.